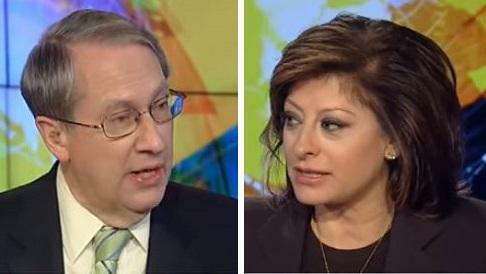 During a Sunday exchange between House Judiciary Committee Chairman Bob Goodlatte and Fox News's Maria Bartiromo over recently released FBI text messages, Bartiromo asked if there were any unreleased texts between two anti-Trump FBI agents referring to destruction of evidence. Bartiromo: After the election, they talked about this "secret society," did they also talk about destroying evidence? I'm told there are some texts that haven't been released yet about "we gotta get our hands on the hard drive" or "we gotta get our hands on the thumb drive." Goodlatte: Well there's certainly a lot of questions about things we do know about with regard to the earlier investigation led by former director Comey where evidence was destroyed before anybody outside of the FBI could get a look at it. Including evidence destroyed by people working for the Democratic presidential candidate. Longtime Bill Clinton aide Justin Cooper, who helped set up the private email account that Hillary Clinton used as secretary of state, was the person usually responsible for setting up her new devices and syncing them to the server. Top aides Huma Abedin and Monica Hanley, as well as another person whose name is redacted, also helped Clinton set up her BlackBerry. According to Abedin and Hanley, Clintons old devices would often disappear to parts unknown once she transitioned to a new device. Meanwhile, as we reported on Sunday, the DOJ is withholding over 85% of the text messages between Peter Strzok and Lisa Page, having submitted just 7,000 of the 50,000 recovered by the department. This does not include emails on personal devices, which the two anti-Trump investigators referred to over their FBI issued mobile phones. In a January 19 letter from Assistant Attorney General Stephen Boyd to Congressional investigators, the DOJ said that they would not be providing "purely personal" text messages. "The department is not providing text messages that were purely personal in nature," Boyd wrote. "Furthermore, the department has redacted from some work-related text messages portions that were purely personal. The department's aim in withholding purely personal text messages and redacting personal portions of work-related text messages was primarily to facilitate the committee's access to potentially relevant text messages without having to cull through large quantities of material unrelated to either the investigation of former Secretary of State Hillary Clinton's use of a personal email server or the investigation into Russian efforts to interfere with the 2016 presidential election." Furthermore, special counsel Robert Mueller was allowed to review the batch of texts and make redactions as he saw fit. Between the 85% of text messages Congressional Investigators don't get to see, Mueller's redactions, and now - an alleged scramble within the FBI to destroy evidence, one has to marvel at how hard the swamp is resisting being drained.